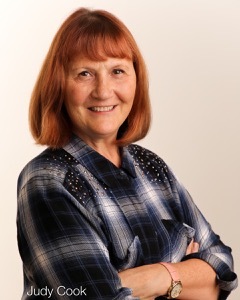 Judy Cook has written numerous songs which she has performed with symphonies, at concerts, and in schools for family series shows across Canada. Originally a tap dancer she uses the rhythms around her to create her original songs. Watch for her first children's book- When Dinosaurs go Dancing available from Friesen Press and Amazon in ebook, soft cover and hard cover. Beautifully illustrated by artist Sonia Nadeau and based on the song When the Dinosaurs go Dancing. Listen here for other Dinosaur songs too!! [Get Copyright Permissions] Click here for copyright permissions! Judy has been travelling through Winnipeg and Manitoba conducting dance workshops with children. She and musician partner Tusia Kozub will be "up north" in Norway House mid- May to work with school children at Helen Betty Osborne school. Judy Cook & Swing Set mix together diverse influences and throw in a whole lot of fun to create a show that is infectious and educational. The songs they perform are about staying up late (I Don't Want to go to Bed), animals (Dog Named Trouble, Yo Odio Mi Gato), bugs (Blackfly Buzzing, The Bug Catcher, Raiders of the Night) and fun interactive songs (The Colour Game, Hand Jive, Pearly Shells). In each performance kids will be encouraged to look for colours, learn to hula dance, and learn the hand jive. They also get to watch these three "grown up" children have a blast on stage! Judy Cook (ukulele/vocals) has performed her original songs on television, at children's festivals and with symphony orchestras across Canada. Other performances include appearances at The National Arts Centre in Ottawa, Manitoba Theatre for Young People, Prairie Theatre Exchange and Rainbow Stage. Judy is an accomplished dancer and delights in sharing her knowledge with children. Wayne Posnick (upright bass/vocals) is a life long musician who founded the Muddy River Stringers. He now runs Grassroots Sound (a recording facility) and continues to perform at festivals and other events with bands, Bullrush, The Bonifides and The Incombustible Men. Previously the band has performed at Winnipeg International Children's Festival, the Teddy Bear's Picnic, Manitoba Children's Museum, and the Gimli Icelandic Festival. "Judy Cook and Swingset" Performances include "Bug City" at the Winnipeg Art Gallery and shows at the Winnipeg International Children's Festival and Festival de Voyageur. Check out "links" on the web site to see their new electronic press pak from sonicbids. "Dancing Songs" is the creative partnership of Tusia Kozub and Judy Cook. They performed an original production called "The Children's Moon" at the Winnipeg Childrens Festival and at the Winnipeg Folk Festival. They currently conduct Musical Theatre Workshops for students of all ages. Check out the promo under the video section. Judy was co-founder of a group "Canadian Content Theatre". She toured Canada performing full theatrical productions of original songs with co-creators Cathy Nosaty and Heidi Hunter. Singer -songwriter Kate Ferris was also a member of the group. They performed at Children's Festivals, concert halls, schools and with Symphony Orchestras for over 10 years. Judy has also been a part of the music and dance scene in Manitoba for many years. As a dancer she has appeared at the National Arts Centre in Ottawa, Rainbow Stage, venues across Canada and the U.S. and toured with Bravado Dance Cabaret. Judy has choreographed for Manitoba Opera, Prairie Theatre Exchange and numerous television and fringe festival productions as well as for many musical theatre productions and multi-cultural dance explorations for high Schools and communities. She has taught dance at the Royal Winnipeg Ballet, Contemporary Dancers, Bravado Dance, Osborne Street Dance Club and the University of Manitoba. She is an expert at sharing her music and dance knowledge and creativity with children and teachers in the school setting and loves to collaborate with others to create special projects or performances. *Judy was the dance specialist for a two year research project creating a music and dance program focusing on children with F.A.S. in Norway House Cree Nation , and was part of a panel to share the research at a world arts festival (V.S.A.) held in Washington D.C. in 2004. She has had very positive experiences creating programs designed for children with disabilities.